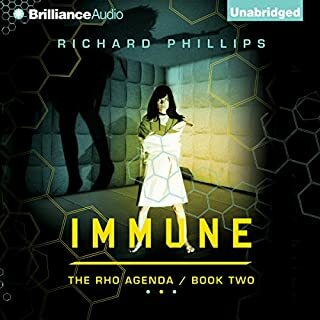 there arent many audio books i fail to get through but this was one. 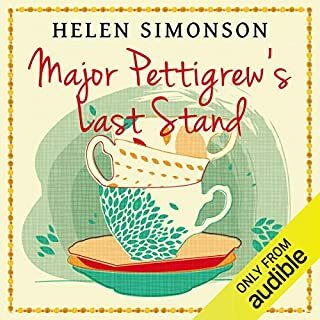 while the main characters were likeable enough, i just wasn't too interested in the Major, his love life or the fate of his precious shotguns. walked miles, some if them in circles, caught up in the plot! was breathless and unpredictable and captivating. 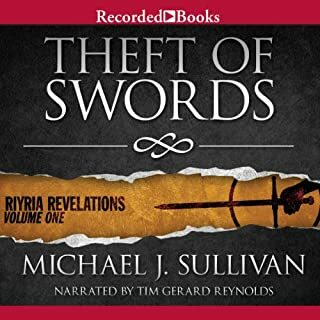 Where does Theft of Swords rank among all the audiobooks you’ve listened to so far? This was a decent fantasy romp with lots of the right ingredients. I liked the main characters, the plot was good & unpredictable. However .... I get really turned off when the main characters do things I wouldn't expect after coming to know them. Or when events just fit (too) neatly together..
For example (SPOILER) .. two thieves, part of a underground hidden mysterious guild, suddenly become kings protectors (really? what about avoiding the limelight?) ... donate the financial reward to a monk (arent they thieves?) ... help a young woman for a couple of silver... It just didnt add up for me - I didnt buy into it. So whilst I kinda enjoyed the story, liked the main guys, it never really held me by the short & curlies. A magnificent and delightfully joyful book. What about Patrick Rothfuss’s performance did you like? Yes! the world of Auri had me gripped. I was absolutely enchanted, absorbed, enraptured - I had to know what she would find in the pool, whether she would find a home for fulcrum, what gifts she would prepare and so on. Pat's work is a rare thing. The words just fit - he could be telling me how he solved a jigsaw, or how he washes his socks and I'd want to listen. I dont mean that in an infatuated "everything he does is just dreamy" way, all doey eyed, but once I start to read/listen invariably he grabs me - enfolds me. As Pat says repeatedly (apologetically) in the pro/post log, this isnt a story for everyone. And I imagine some people putting it down and going "wah?". It mot certainly was a story for me. 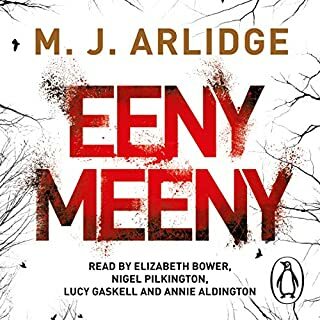 What would have made Eeny Meeny better? There was no real background or depth to any of the characters. I didnt grow to like them or invest in them or really care about what happened to them. it felt like it was written for tv - or by for a secondary school essay. There was very little scene setting or character background; a real lack of any depth. This meant that because I felt I didnt relate to or care about the characters, the plot never gripped me. 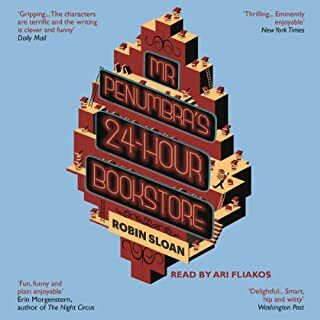 I dont often give up on a book before the end (once or twice out of two dozen audible downloads) but when I looked and there was still an hour left, I just couldnt make it. Book two of the Stormlight Archive. 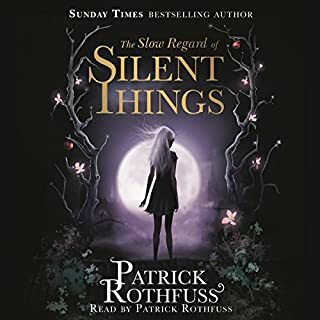 From the best-selling author who completed Robert Jordan's epic Wheel of Time series comes a new, original creation that matches anything else in modern fantasy for epic scope, thrilling imagination, superb characters, and sheer addictiveness. Return to a planet swept by apocalyptic storms, a world tipping into war as aristocratic families move to control the shard blades and shard plates, ancient artifacts from a past civilisation that can win wars. Outstanding - again!…and very much worth the wait. 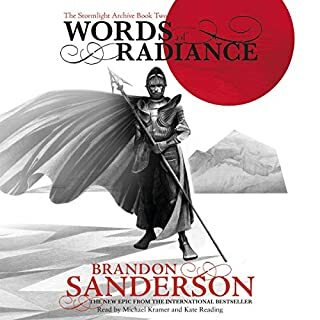 If you could sum up Words of Radiance in three words, what would they be? The plot, the narration, the pace - fantastic. Theres a lot to it (many hours) and I covered a lot of ground dog-walking with my headphones on without noticing. 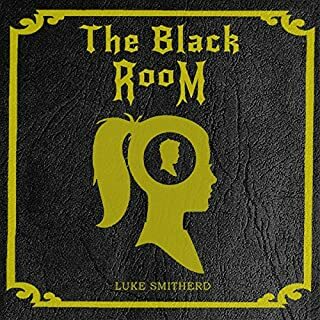 Elvis Cole is a detective who can't say no, especially when it comes to a girl in a terrible fix. But when Jennifer Sheridan asks him for help, Elvis takes on rather more than he bargained for. Jennifer's fiance, Mark Thurman, is a decorated LA cop with an elite plain-clothes unit, but Jennifer's sure he's in trouble. The kind of serious trouble that Cole is only too familiar with. Nothing too out of the ordinary here. the plot is predictable. at no point did I think "must stay in the car / on the train / whatever / to finish this chapter. 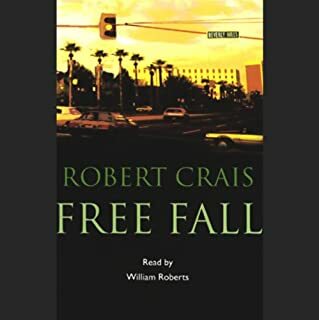 Was Free Fall worth the listening time? an easy, predictable, perhaps a little dull, listen.